1. Visit Disneyland Paris and try some of the interesting restaurants. One I would have to visit would be King Ludwig's Castle. This restaurant serves German inspired food in a medieval castle. There is also Auberge de Cendrillion which serves French food and you, well I can't visit France without having French food. Lastly, Walt's - An American Restaurant because well, it's named for Walt and I'd love to see what they have in a restaurant named for the man who started it all. 2. Go on a Disney cruise and try Palo. Palo which is the adult dining on all of Disney ships serves Northern Italian food in an upscale atmosphere and cost $20 per person. Not a bad price for an adults only dining experience. I'd love to see how it lives up to the food that I've had in that part of Italy. 3. Go on the Disney Dream and try Remy. Remy will also be added to the Disney Fantasy once it sets sail next year. 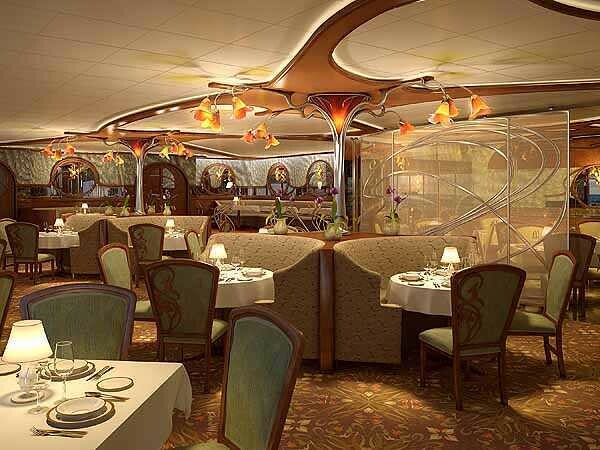 An adults only fine dining experience, featuring French-inspired dishes in a restaurant decorated Art Nouveau. Of course this restaurant costs more than Palo, it's $75 per person plus the cost of alcohol. After looking at this menu, my mouth is watering. I already know that I want the Lobster with Vanilla, Bisque and Lobster Roe Foam. Now that sounds like something sinfully delicious. 4. 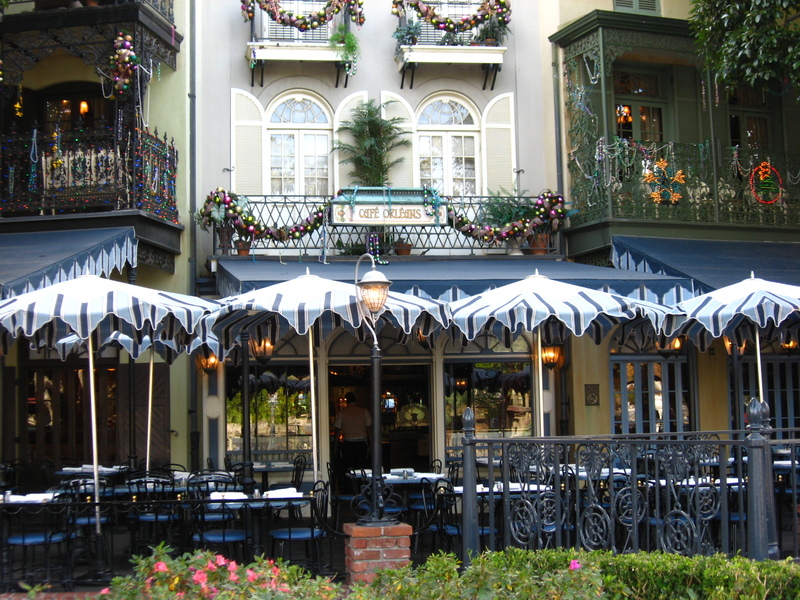 Try Cafe Orleans in Disneyland. After my terrible experience at Blue Bayou I canceled my reservation for this and Napa Rose in 2009. Well, since I'll be visiting Disneyland again this year during the D23 Expo I'll be knocking this one off my list. 5. Last but most certainly not least, Napa Rose. This restaurant has received since opening, for the past 10 years the AAA Four-Diamond Award. It's to be one of the best restaurants and like some of those restaurants at Walt Disney World offers a Chef's Table called "The Vintner's Table", which I might have to try. Either way I'll be checking this one off my bucket list as well. great list! I've heard others say they had bad experiences at Blue Bayou... we skipped that one last May while at DLR. Great list. So many great ideas. I hope you get to them all! Palo is definitely on my list to try. Of course, I have to convince my family to go on a cruise first! Great list. Palo is awesome!